News came today that Ubisoft acquired Vancouver, BC based video game developer Action Pants Inc. This will mark Ubisoft's first ever game studio situated in the west coast of North America. It's obvious that Ubisoft has made this move to strengthen its presence in the industry as well as broaden its already strong Canadian base of operations (in Montreal). This is also very positive news for the Canadian gaming industry as the acquisition by Ubisoft will likely lead to further growth and opportunity within the marketplace. Here is the official news release by Ubisoft. 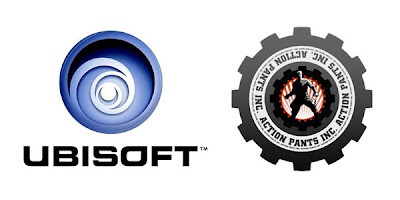 Montreal, Canada – February 3, 2009 – Today Ubisoft announced it will be expanding its studio operations to Vancouver, BC, Canada through the acquisition of video game developer Action Pants Inc. This marks Ubisoft’s first in-house development studio on the North American West Coast. Established in 2006 by industry veterans Simon Andrews, Nik Palmer and Omar Al-Khafaji, Action Pants Inc. currently employs more than 110 video game developers. Based in the trendy Yaletown area, the studio was ranked as one of the province’s Top 50 employers in 2008 and 2009, and among BC Business magazine's "Best Companies to work for in BC in 2007." 2009 will see the release of the studio's first title, a sports game developed exclusively for Wii™. This new intellectual property will expand upon Ubisoft's recent success in the sports genre with the Shaun White Snowboarding franchise. "We have been looking closely at Vancouver for some time, as we wished to set up a presence in what is one of the industry’s biggest talent pools," said Christine Burgess-Quemard, executive director of worldwide production studios at Ubisoft. "The creative talent at Action Pants made the decision an easy one, and we are delighted to both establish ourselves in the region as well as welcome a fantastic group of experienced developers who can start exchanging with our other teams worldwide." This is great news for the Canadian video game industry. Given the high profile layoffs at EA Black Box and Propaganda Games, it's nice to see Ubisoft investing in the Vancouver market. Since 1997, Ubisoft has grown it's Montreal studio to 1,800 strong. It would be great to see Ubisoft's presence in Vancouver grow to this size.